Topfindings.net is the PUP that uses misleading techniques to prevent removal. Use Reimage to locate malicious components and get rid of them faster than with uninstall instructions. A full system scan blocks virus reappearance and prevents traffic to malicious domains. What is the function of Topfindings.net? How did Topfindings.net hijack my computer without my permission? Computer security experts claim that Topfindings.net is a browser hijacker and a potentially unwanted program (PUP). 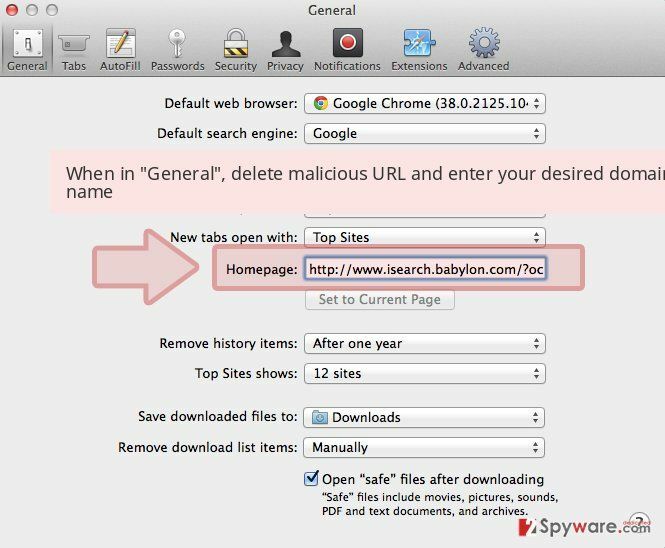 However, many victims affected by this browser hijacker do not realize that Topfindings.net is an unreliable website because it looks like any other regular search engine. Please take note that this PUP only seeks to advertise its sponsors, so you should not expect to receive accurate search results. 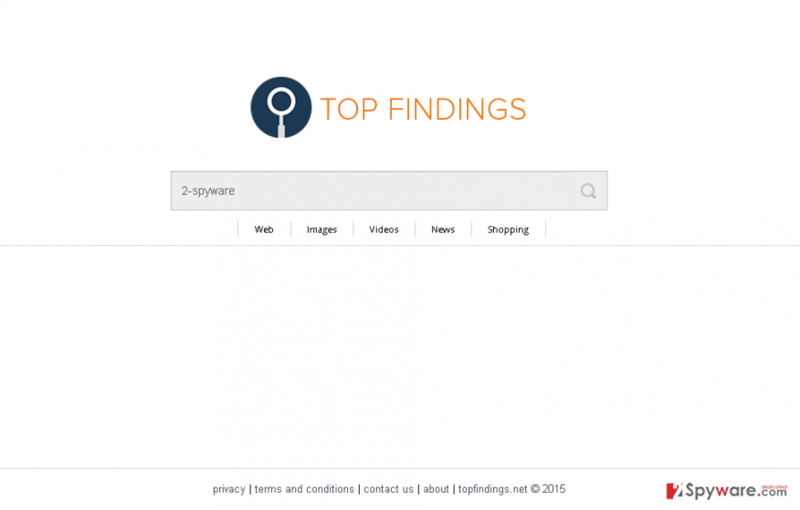 Topfindings.net is sponsored by unreliable sources – third-party companies. These companies seek to promote their websites. Because of that, they pay for the developers of such PUPs, and therefore programs like Topfindings.net use misleading ways to promote such affiliate marketing. First of all, Topfindings.net hijacker can enter your system seamlessly – with or without your authorization. Next, it injects its extensions to user’s web browser – and it does not matter which one you use. It can affect Mozilla Firefox, Google Chrome, Internet Explorer or other web browsers. After that, it changes your browser’s homepage to Topfindings.net. We strongly advise you not to use this search website, because it can display inaccurate search results. It means that they can be injected with redirecting links, which may lead you to untrustworthy third-party websites. Such Topfindings.net redirects can be dangerous. It is a must to remember that some of these websites can promote software or updates that can be infectious. Do not accept any offers to install ”great” and free applications. Otherwise, you may end up with a potentially unwanted apps on your system. Moreover, Topfindings.net can collect data about your browsing habits – what websites do you visit, what keywords do you enter in search engines, what files do you download and so on. It can also find out what is your IP address. It is still unknown if this application does not use this program for other questionable purposes; therefore, we advise you to install an anti-spyware program, for example, Reimage. Having a reliable PC security tool on your computer can help to prevent computer infections. If you have accidentally downloaded a bundled software pack, and you did not notice that it contained Topfindings.net hijacker, do not worry. 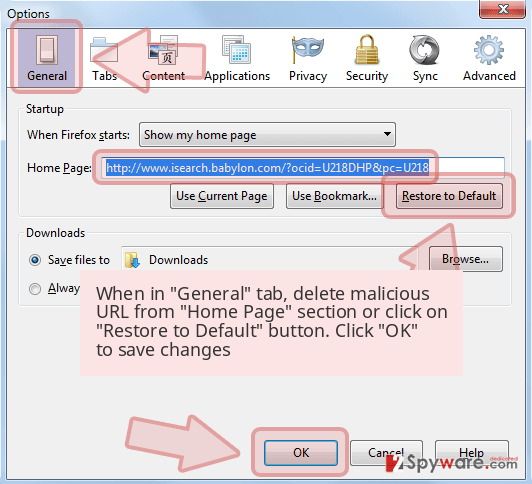 It is not considered to be a malicious program, and it is quite easy to uninstall it.You can remove Topfindings.net browser hijacker either automatically or manually. To remove Topfindings.net virus manually, follow the removal instructions that are provided below this article. However, it is a good choice to secure your computer from various computer threats by installing a professional anti-spyware program. It will detect and eliminate all risky programs from your system immediately. Here, look for Topfindings.net or any other recently installed suspicious programs. Wait until you see Applications folder and look for Topfindings.net or any other suspicious programs on it. Now right click on every of such entries and select Move to Trash. 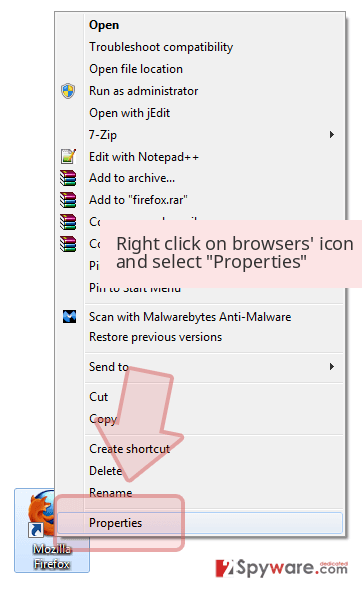 When in the new window, check Delete personal settings and select Reset again to complete Topfindings.net removal. Once these steps are finished, Topfindings.net should be removed from your Microsoft Edge browser. Here, select Topfindings.net and other questionable plugins. Click Remove to delete these entries. Now you will see Reset Firefox to its default state message with Reset Firefox button. Click this button for several times and complete Topfindings.net removal. Here, select Topfindings.net and other malicious plugins and select trash icon to delete these entries. 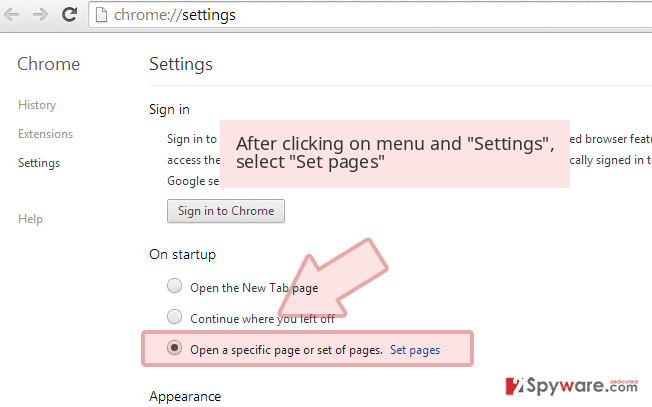 Click Reset to confirm this action and complete Topfindings.net removal. 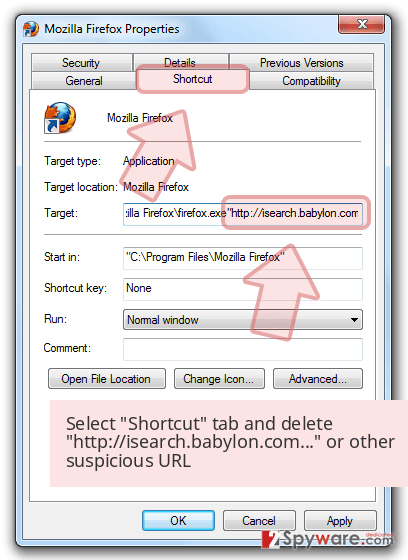 Here, select Extensions and look for Topfindings.net or other suspicious entries. Click on the Uninstall button to get rid each of them. Here, look at the Homepage field. If it was altered by Topfindings.net, remove unwanted link and enter the one that you want to use for your searches. Remember to include the "http://" before typing in the address of the page. Now you will see a detailed dialog window filled with reset options. All of those options are usually checked, but you can specify which of them you want to reset. Click the Reset button to complete Topfindings.net removal process. This entry was posted on 2015-10-23 at 16:17 and is filed under Stealing programs, Viruses. You can quickly scan the QR code with your mobile device and have Topfindings.net manual removal instructions right in your pocket. How did you remove Topfindings.net?